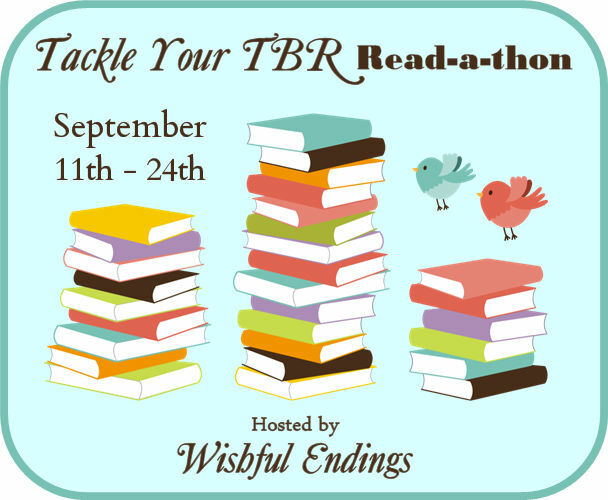 Tackle Your TBR Read-a-thon is hosted by Wishful Endings. We've made it! I hope you guys met some new friends, got a lot of reading in, and had a great time! I will announce the giveaways in this post tomorrow, so be sure to check back and check your email in case it's you! Next years RAT will be from September 17th - 23rd (only one week next time), so I hope to see you all again then! $15 Amazon gift card to Vicky! 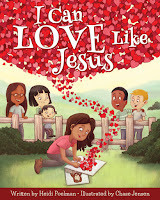 Book of choice to Darlene! Challenge Giveaway for a $5 Amazon gift card to Samantha and Michelle! You have all been emailed, so please check your inboxes! Thanks to everyone for participating! I hope to see you next year!! I finished the last book that I needed to today (I review it tomorrow). I had a couple days where I didn't get my 100 pages read and I definitely didn't read as much as I was hoping to, but I'm still happy with how things went. I especially was happy that I stopped by everyone who participated, either on their blog or Facebook, Twitter, Goodreads, etc. Now it's your turn! Give us a summary of how you did for the entire read-a-thon by commenting below, in the Goodreads group, or by leaving a link. Don't forget to also link up! Make sure you link up your wrap-up/final update in the linky below (if using Goodreads or Comments, list that along with your name in place of a link). To enter the main giveaways, you must be linked up here and also be in the sign-up linky HERE. This is the giveaway I personally host and doesn't require any sort of challenge. To be eligible you need to have signed up in the linky and link up a final update (can be added to your sign-up post) in the linky above. You can follow me for extra entries. So, how did you do? What was your favorite part? Any suggestions for next year? Tickets Now on Sale for The Forgotten Carols!